Ten newly arranged intermediate level solos of Christmas classics. 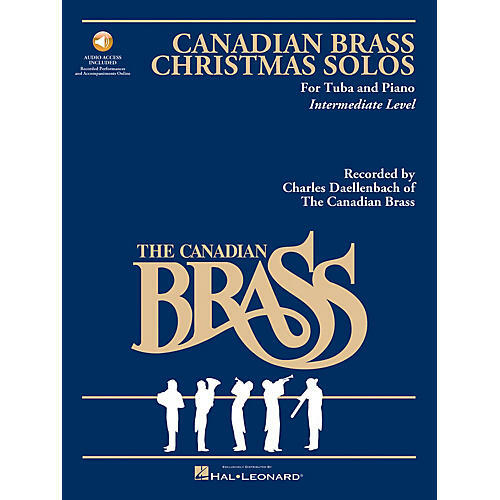 The recordings feature individual members of the Canadian Brass playing solos (tuba - Charles Daellenbach, trombone - Eugene Watts, horn - David Ohanian, trumpet - Fred Mills & Ronald Romm), plus accompaniment tracks. Songs include: Angels We Have Heard on High · The First Noel · Gesu Bambino · I Saw Three Ships · O Holy Night · Silent Night · and more. The recordings are accessed online using the unique code included with each score.